HINDSIGHT IS 20/20, AND PREVENTION IS BETTER THAN A CURE. These two time-tested sayings are incredibly apt when it comes to anti-ageing skincare, as fixing your skin can be so much harder than taking care of it properly in the first place. Unfortunately, ageing is an inevitable part of life. But when it comes to how your skin will age, environmental factors play a large (and controllable) role in how much your skin changes. The largest extrinsic factor (environmental contributors to premature ageing) that you can minimise aside from smoking is sun exposure. HOW DOES THE SUN CAUSE WRINKLES? UVA and UVB damage are known to cause premature ageing, and they work together to make your skin look worse than it should. UVB exposure causes skin cells to multiply and thicken, reducing the ability of the skin to retain moisture. These rays are also the reason our skin tans, as it tries to protect itself by producing a dark pigment called melanin. With a large amount of sun exposure, the skin develops darkly pigmented sunspots that could progress to skin cancer. UVA penetrates deeper layers of the skin, affecting connective tissue and causing the skin to lose its elasticity and wrinkle. Together, UVA and UVB exposure cause skin to look and feel dry, pigmented, and wrinkled. A recent Australian study tested two groups over 5 years: one group used a broad-spectrum sunscreen daily and one group used sunscreen to their own discretion. The results showed that the group who used sunscreen daily showed no detectable increase in skin ageing after 4.5 years. 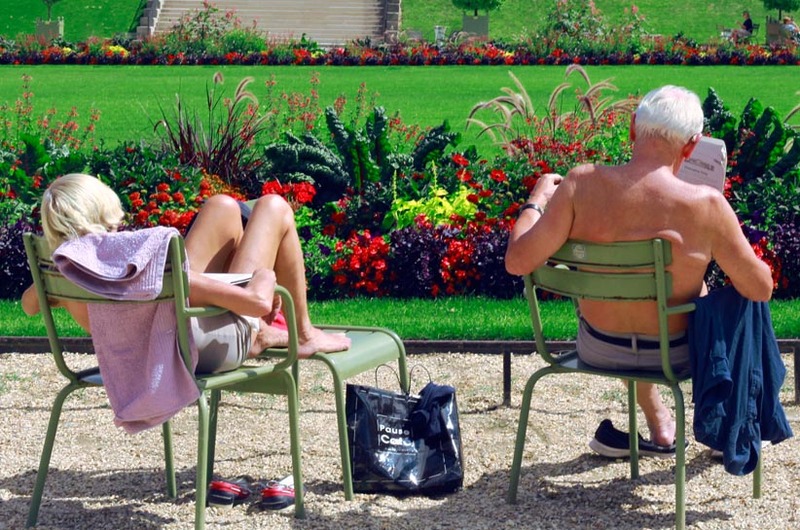 The discretionary sunscreen users, on the other hand, showed substantial signs of premature ageing. Great skin requires a multi-pronged approach. There is no one-size-fits-all guide to skincare, as everyone’s skin is different and is affected by a range of factors, such as hormones, genetics, and environmental & lifestyle choices. One thing that is proven to prevent premature skin ageing is limiting sun exposure. A high SPF broad spectrum sunscreen that protects against both UVA and UVB light is vital in keeping skin healthy, youthful, and wrinkle-free. Sun damage happens when you least expect, and it all adds up. Add a great sunscreen to the last step of your daily AM skincare routine and reap the benefits.